As a woman of color, it can be hard to find inclusive products that are tailored to your individual skin and hair needs. Fortunately, these Black-owned subscription boxes provide the solution to your problem. These subscription boxes are full of new skincare, makeup, haircare, and other beauty products specifically designed for women of color. To start building your perfect beauty arsenal, consider subscribing to one of these amazing boxes. BOSS+BAE includes a variety of products suited for a wide range of skin tones and hair textures. Each box includes 5-8 full-size makeup, skincare, hair care, bath and body, and home goods products. On top of their large selection, it’s also important to note that every item in each box comes from a well-established and socially conscious brand. If you’re tired of searching everywhere for natural beauty products, we recommend trying The Zuhuri Beauty Box. Each box includes four all-natural skin care, hair care, body care, and cosmetic products. They even offer a Mini Skin Care Assessment to help you determine which Zuhuri Beauty products will work best with your skin type. Cocotique Beauty Box is a luxurious subscription box for women of color. In each box, you’ll find 5-8 samples of hair, skin, make-up, fragrance, and lifestyle products from a variety of companies. You’ll also find detailed information about each product and exclusive discount codes in every box. If you fall in love with one of the samples, you can easily purchase the full-sized version at the online COCOTIQUE Shop. It’s hard to find the right product for your hair without trying it out first. To speed up the process, My Curls Understood includes 5-6 deluxe, full-size hair products specifically made for you. Take their 1-minute hair quiz before receiving your first box, and from there you can provide feedback so that My Curls can improve your product selection over time. 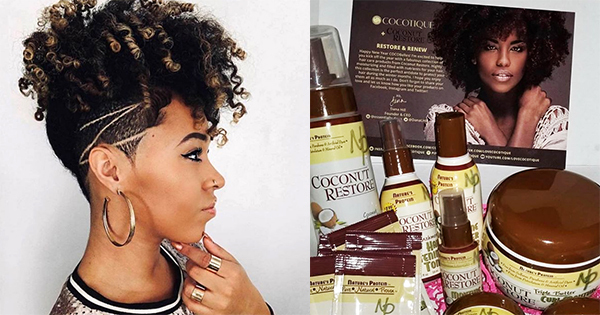 These Black-owned beauty subscription boxes are sure to help you find your next favorite beauty product in no time!